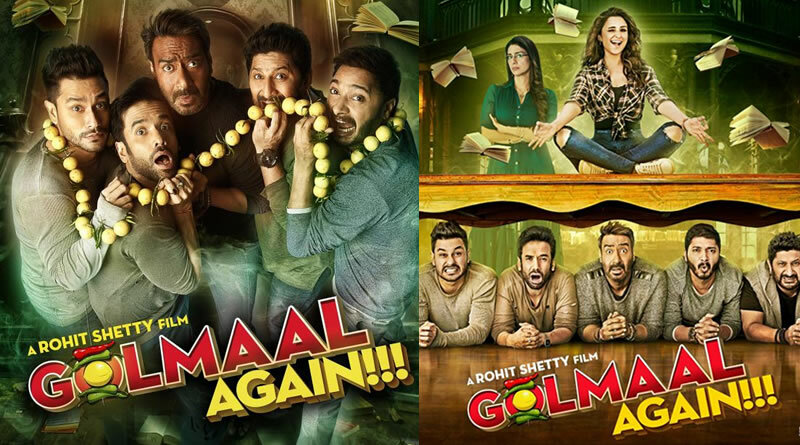 Golmaal Again’s posters promises a scary-laughter film! Director Rohit Shetty is all set to tickle our funny bones with the fourth instalment of the Golmaal franchise, titled Golmaal Again. 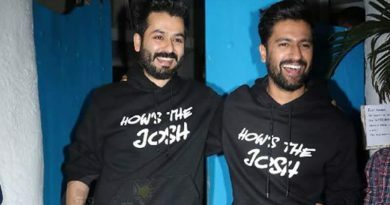 The trailer of the film starring Ajay Devgn, Parineeti Chopra, Arshad Warsi, Tabu, Tusshar Kapoor, Shreyas Talpade and Kunal Kemmu will be releasing tomorrow. Before the trailer releases, Ajay posted a new poster for the film and we couldn’t be more thrilled. The poster also gives us a hint of what the fourth instalment might have for us, seems like there will be a ghost angle here. At least, that is the only explanation for the appearance of ‘nimbu-mirchi’ in the poster and those scary expressions. Actresses Parineeti and Tabu are the new additions to the team. ← Aishwarya’s No for Fanney Khan’s intimates scenes! 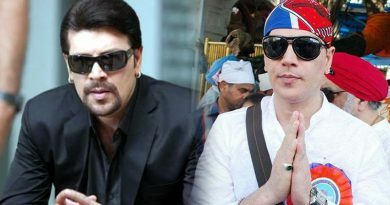 Aditya Pancholi to do yoga for playing baddie in Race 3! Ranveer Singh’s scaring private life is not meant for public consumption!